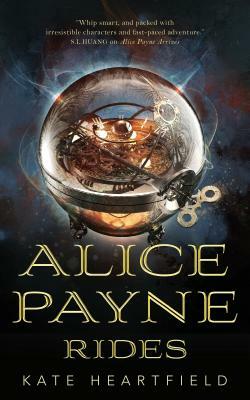 Alice Payne Rides is the thrilling sequel to Kate Heartfield's Alice Payne Arrives. After abducting Arthur of Brittany from his own time in 1203, thereby creating the mystery that partly prompted the visit in the first place, Alice and her team discover that they have inadvertently brought the smallpox virus back to 1780 with them. Searching for a future vaccine, Prudence finds that the various factions in the future time war intend to use the crisis to their own advantage. Kate Heartfield is a former newspaper editor and columnist in Ottawa, Canada. Her novels include the historical fantasy, Armed in Her Fashion, and her interactive novel for Choice of Games, The Road to Canterbury, inspired by the Canterbury Tales. Her short fiction has appeared in several magazines and anthologies, including Strange Horizons, Escape Pod and Lackington’s. Her novella “The Course of True Love” was published by Abaddon Books in 2016, as part of the collection Monstrous Little Voices: New Tales from Shakespeare’s Fantasy World.